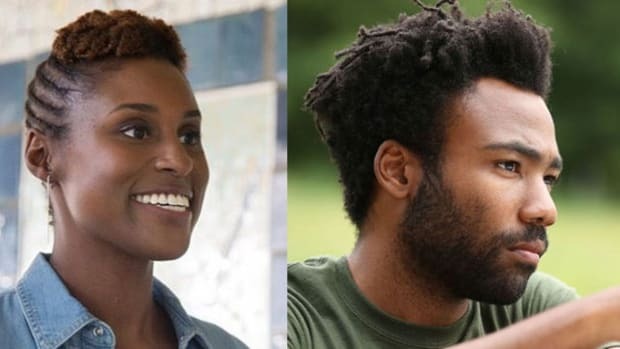 FX’s Atlanta didn’t waste any time bringing out the cameos for their third episode last night. 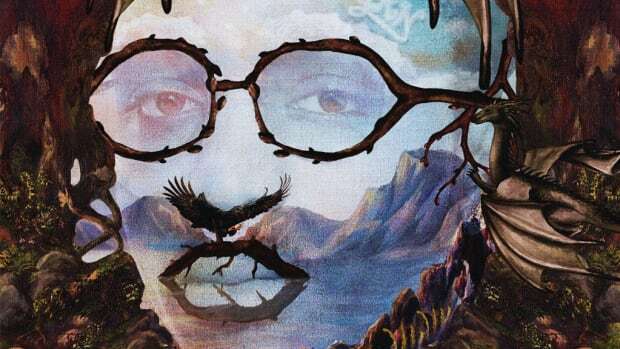 Quavo, Offset, and Takeoff made their acting debuts as Migos - a group of drug suppliers who do business in the deep forest somewhere in southern Atlanta. Migos aren’t the episode’s focus; their screen time is limited and mostly centered on Quavo, but the few scenes are absolute gold. Dope boyz and drug dealing, Impalas and Chevys, big rims and fast girls - this is the Atlanta T.I. introduced to the world. He brought listeners into the trap, a perspective that felt fresh and edgy. 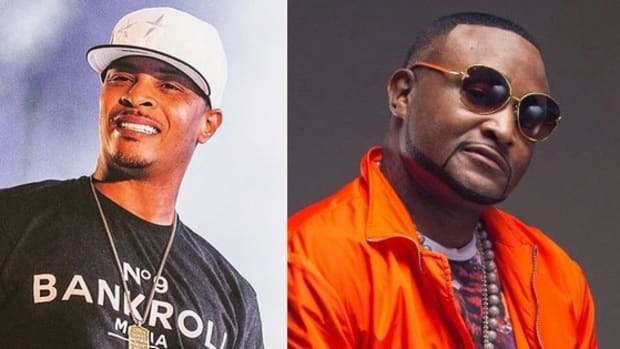 T.I.’s acclaim helped to usher in Jeezy, Boyz N Da Hood, Gucci Mane, Waka Flocka, and other artists who all told their own street tales. 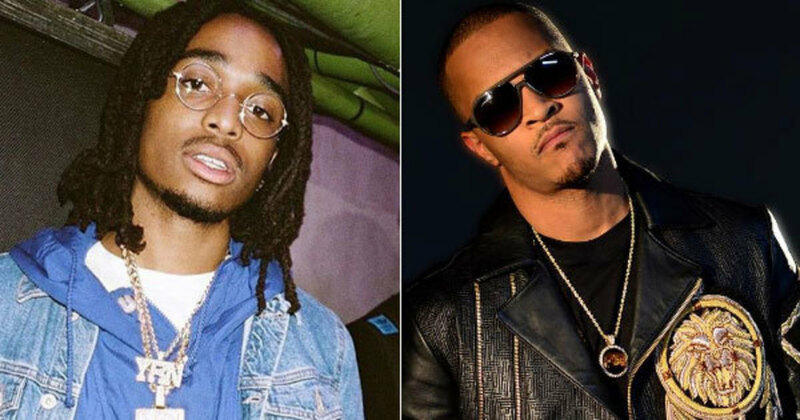 I believe that’s what Quavo means by, “The T.I. way.” For a while, Atlanta felt like it was a split between the snap dancers and the trap stars. 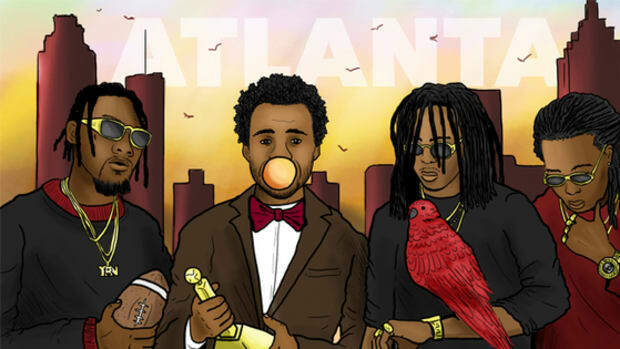 The representation of Atlanta in the mainstream was stuck in those two dimensions. Noisey Atlanta captured on camera the drugs, guns, strippers, and rappers still in the trap. It was exactly what the music illustrated, but didn’t capture Atlanta as a whole, more like a fragment of the city. Donald Glover is from Stone Mountain, Georgia. He was born and raised in the city of Atlanta but moved away to attend school at NYU. 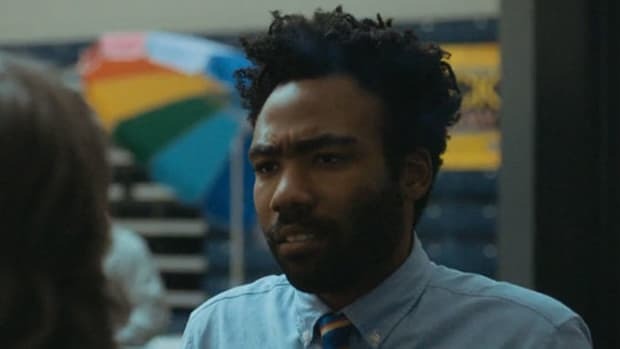 Donald Glover rapping as Childish Gambino doesn’t fit the conventional image that mainstream music has associated with an artist from Atlanta. No big Atlanta artist gave him a co-sign, no big Atlanta DJ were playing his records, he&apos;s like the city&apos;s black sheep when it comes to music. His look, his sound, his subject matter - Childish Gambino is the polar opposite of T.I. 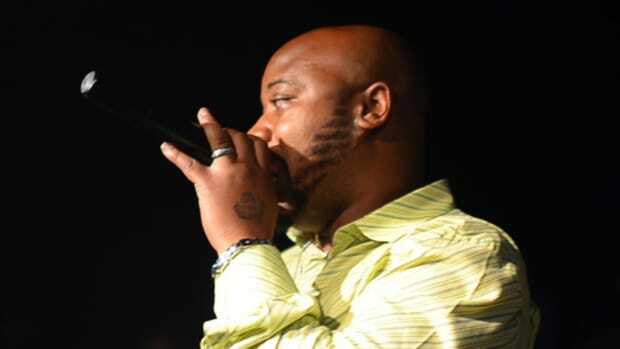 He is likely the last artist that comes to mind when you think of Atlanta. Comparing and contrasting T.I. and Donald is apple and oranges. Two people can live in the same city and have two completely different experiences. One artist just happened to turn his experiences into the interpretation that the world became accustomed to. Yet, it’s Donald that created and is starring in a television show that centers around Atlanta, hip-hop, and the struggles to make it in the city. I remember having a conversation with a friend who was ready to dismiss the show because Childish Gambino is “too weird” to represent Atlanta on television. Deep down I know he isn’t the only person who might look at Donald, hear his music, and assume he is the wrong person for the job. I knew that Atlanta would be authentic the moment OJ The Juiceman’s “No Hook” was the first song you heard on the first episode. 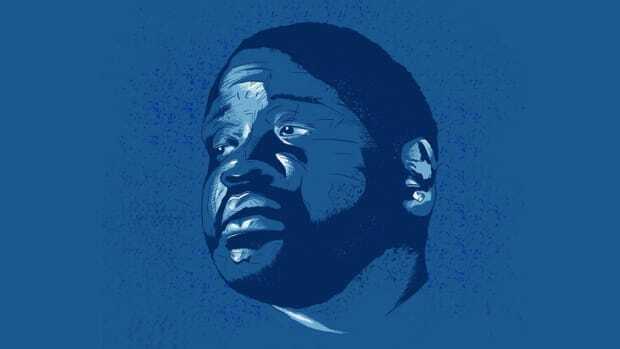 The world might see OJ as a joke, but the East Atlanta artist has some classics that you will hear if you’re riding around the Moreland Avenue area. That’s just the beginning of what makes the show feel authentic. It’s not the main characters, but the no-name extras that give the show a feeling that you’re watching real people - listening to the man retell how he got locked up in his best Atlanta vernacular was nothing short of a magic moment. If you aren’t from Atlanta you might not understand when Edgewood is name-dropped, or why the scene at J R Crickets is iconic, but for the natives, it’s those details that make the show true to its name. You can hear it in the music, the locations, the way characters speak and interact - it feels like a show that is capturing one specific place and the people who live in that space. Atlanta isn&apos;t showing me anything that I feel can be witnessed in New York, Chicago, or Washington. 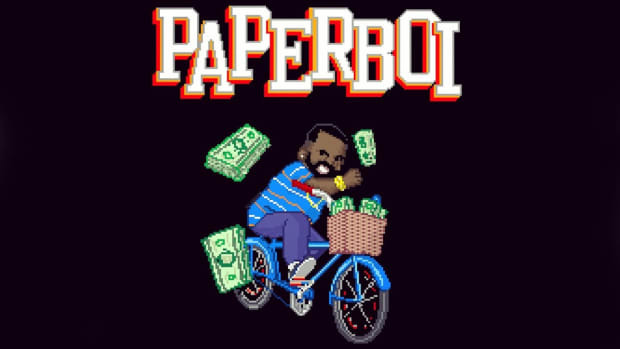 Paper Boi is a rapper, and he does sell drugs, but you can tell his character is a bit more complex than that. He is more than what appears on the surface. What Donald has done an excellent job of is showing how diverse Atlanta is. He’s giving us a bit of everything, without compromising the feeling of real people. That’s what makes Atlanta authentic. The only character that feels a bit weird is Darius, and that’s the entire point of his character. I hope that people watch Atlanta and see that even though the city is full of rappers and drug dealers, we also have much more. It’s a glimpse into Donald’s Atlanta, the one he hopes that can do for the city what T.I.’s music did over 10 years ago. There’s more than one way to skin a cat, and it takes more than one perspective to represent a city. Donald is doing Atlanta his way, and the results have been nothing but authentic. By Yoh, aka Yohkaveli aka @Yoh31.